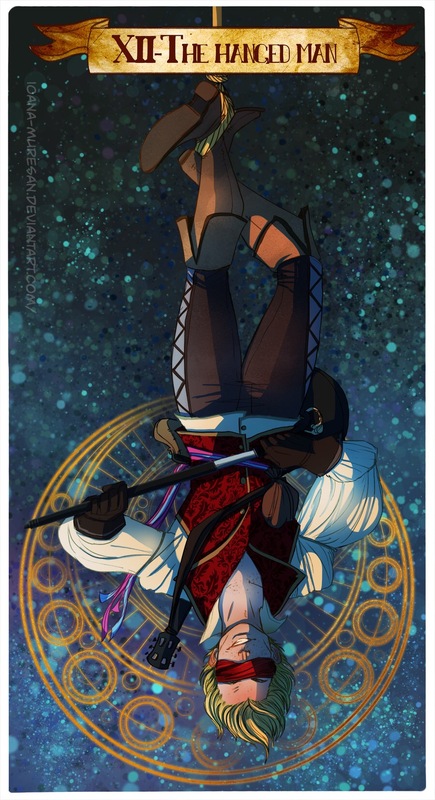 The Hanged Man can mean many things, but today, it primarily feels as though the Universe may be keeping you in suspense over something. Have patience with yourself and the situation, and utilize the time given to assess the situation from different angles. For some, there may need to be a new approach, and the Universe may be flipping your perspective in order to give you a fresh set of eyes. Consider it to be a speedbump, a glitch, a momentary pause along your path, designed to make you fully aware of your surroundings. Somewhere, and I am not sure where, maybe the February Love and Finance, I talk about someone taking the fall for something. I honestly do not recall if this was meant on a personal or global level, but, today, if it feels as though you, or someone else is being hung out to dry, well then, that is probably the case. Do not accept the blame if you are not the root of the problem. There is no need to sacrifice yourself, unless you are ok with it, and consider it to be for the greater good. Hang tight today…we are only a few short days away from the Full Moon Total Lunar Eclipse in Leo, on the 31st, and February, while the shortest month, promises to be chock full of change and surprise. Stay tuned. I have relocated my Weekly Tarot Guidance and my Love and Finance Tarot Guidance; to find them, click here for further directions. This entry was posted in Card of the Day, General Tarot, Patreon, Readings, YouTube Videos and tagged Card of the Day, Guidance, Hanged Man, Path, Reading, Tarot.